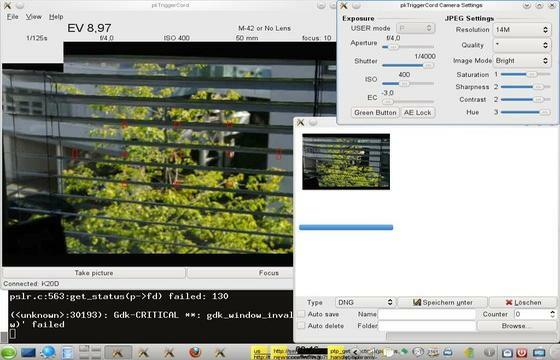 This tutorial shows you a tethered camera control tool pkTriggerCord which is base on PKRemote. After you connect the camera to your PC with the USB cable, you can control the camera from pkTriggerCord, such as read status information, change settings, and take pictures. 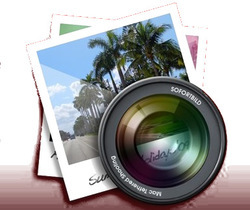 The pictures are stored in the camera’s buffer and can be downloaded to the PC. Pictures are not written on the SD card of the camera. This will install pktriggercord on Ubuntu 13.10, Ubuntu 13.04, Ubuntu 12.10 and Linux Mint 16, 15, 14. Once installed, open the GUI interface from Unity Dash. Or run man pktriggercord-cli to check out command line tool usage. This post is dated 2013 just wondering if the bugs for the K-01 have been fixed?